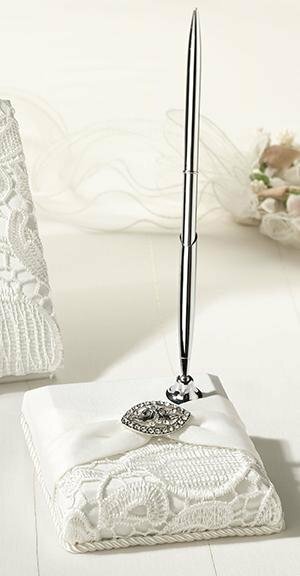 Gorgeous vintage cream lace wedding pen set is a must have for your vintage themed wedding. Cream satin base covred with a cream lace overlay, cream sash and rhienstone accent. Silver pen writes with black ink. Matching cream lace guest book also available.